This past Friday, I went to Westfield Mall in San Francisco to conduct user tests on how people browse the web, and especially how (or if) they use tabs. 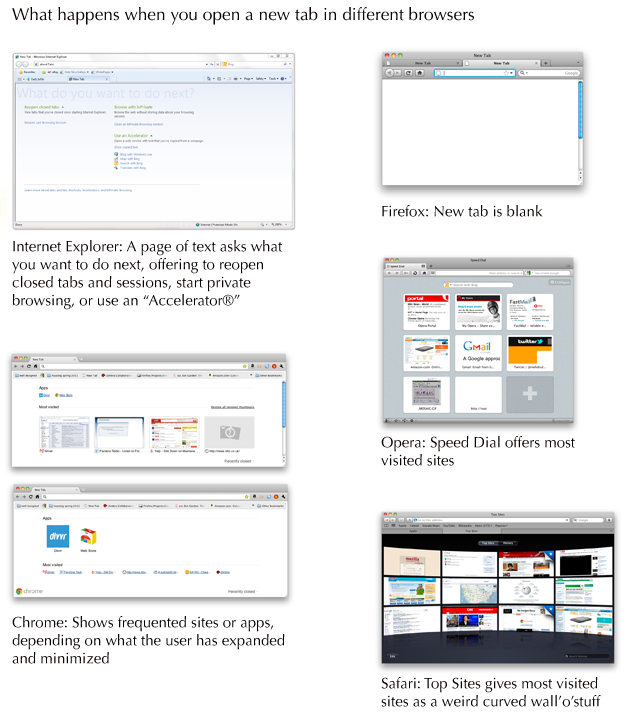 This was part of a larger investigation some Mozillians are doing to learn about users’ tab behavior. The mall is a fantastic place to find user test participants, because the range of technical expertise varies widely. Also, the people I encountered tended to be bored out of their minds, impatiently waiting for their partners to shop or friends to meet them. However, rather than completing all 20 tests I was hoping to, I ended up spending three hours testing a man I’ll call Joe. I find Joe, a 60-year-old hospital cafeteria employee, in the food court looking suitably bored out of his mind. Joe agrees to do a user test, so I begin by asking my standard demographics questions about his experience with the internet. Joe tells me he’a never used a computer, and my eyes light up. It’s very rare in San Francisco to meet a person who’s not used a computer even once, but such people are amazingly useful. It’s a unique opportunity to see what someone who hasn’t been biased by any prior usage reacts. I ask Joe if I could interview him more extensively, and he agrees. 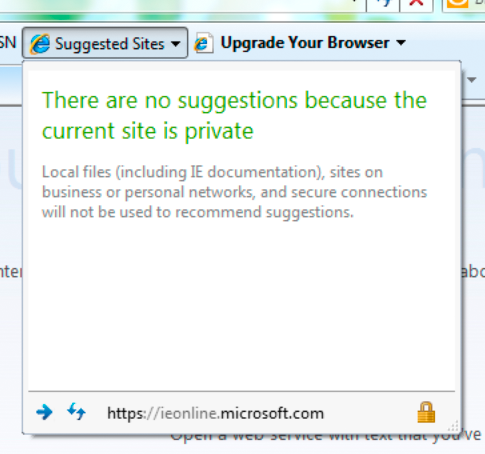 I decide to first expose Joe to the three major browsers. 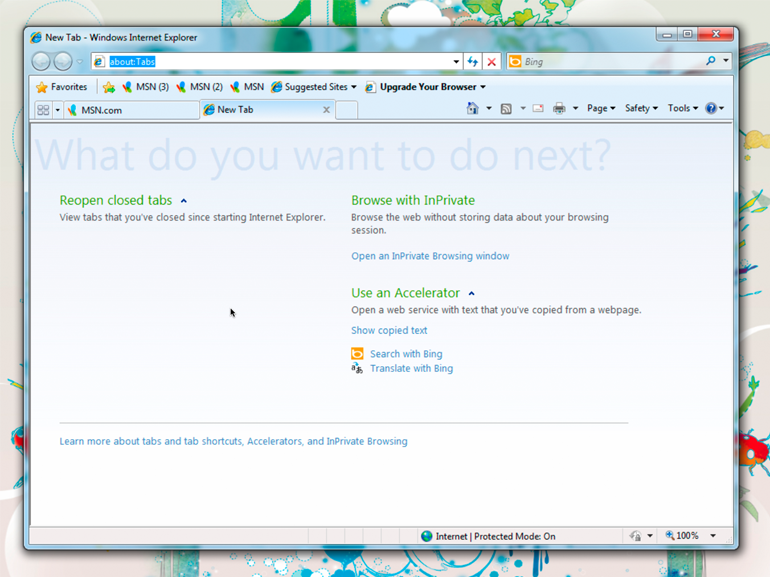 I begin by pulling up Internet Explorer. Joe looks around a bit more, but he’s getting visibly frustrated with IE, so I move on to Firefox. I give him the same task: find a local restaurant. He stares at the screen for awhile with his hand off the mouse, looking confused. I ask what he’s looking for. “I don’t know, anything that looks like it will help!” he says. Finally, he reads the Apple context menu at the top of the screen, and his gaze falls on the word Help. “Help, that’s what I need!” says Joe. He clicks on Help, but looks disappointed at what he sees in the menu. “None of these can help me,” he says. Joe is getting frustrated again, so I move on to Chrome and give him the same task. He proceeds to read all of the words on Chrome’s new tab page, looking for any that may offer guidance. 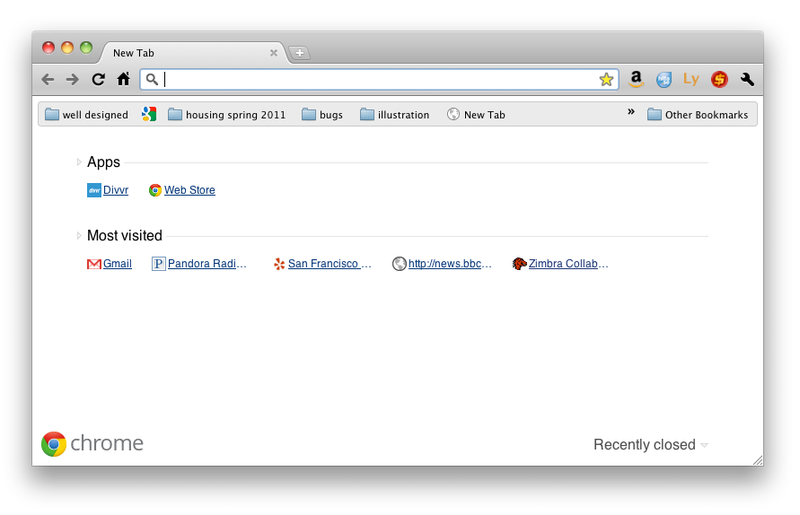 Luckily for Joe, he spies a link to Yelp which is marked San Francisco in Chrome’s new tab page. He clicks it, and, seeing restaurants, declares he’s won. Because Joe has mentioned a few times he wants email, I get him a gmail.com email address and show him how to access it at a public computer. We practice logging into Gmail several times, and I end up writing a very explicit list of steps for Joe which includes items like “move mouse cursor to white box.” One of the hardest things to relate to Joe is the idea that you must first click in a text field in order to type. When I am convinced that Joe understands how to check his email, I want to show him how he can use his new email address. So, I ask him why he had asked for an email address in the first place. I imagine he’ll say he wants to communicate with friends and relatives. 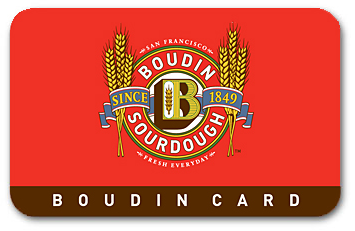 I’m a little confused, but go ahead and register Joe’s Boudin Bakery card with his new email address. I show him the web summary of all the bread he’s bought lately. “Woah!” says Joe. So, what did I learn from Joe? Don’t make too many assumptions about how users will benefit from your technology – they may surprise you! Whenever you open a new tab in Firefox, your goal is to navigate somewhere. 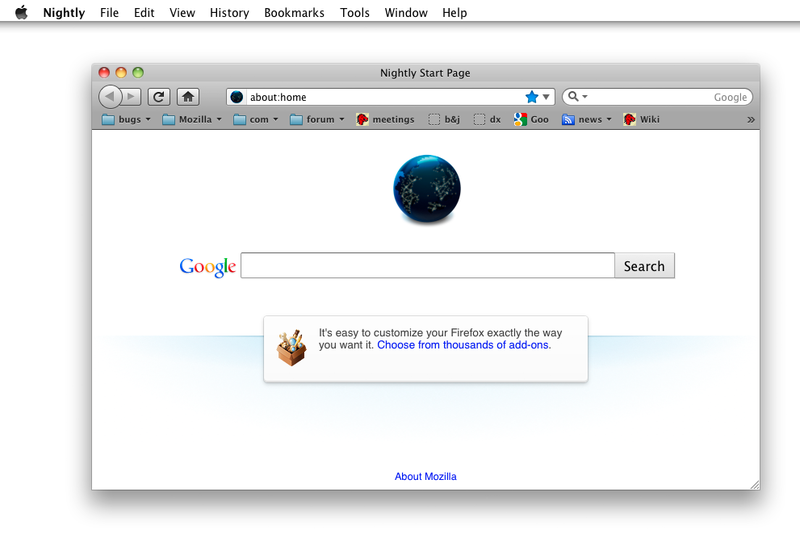 To aid your navigation, on this new tab Firefox currently offers you… nothing. Just a blank page. 100% white, and 100% not useful. Firefox has been displaying this blank page when users open a new tab for as long as there’s been a new tab. And, partially, it’s deliberate. After all, a blank page is guaranteed not to distract you from your current task. It’s just clean and white, like a canvas, offering no suggestions for the next move and no distractions from it. Alex Faaborg explains very well in his recent blog post the concerns we have with distracting users and the ways that data overload on a new tab page can be harmful. So, which approach is best for our users? Would presenting large thumbnail targets to direct people to sites they frequently visit save them time? Could we present information to make it easier for users to navigate to their next destination? Can we do so without being distracting and leading users away from the task they had in mind? We realized that we couldn’t answer these questions without finding out more about our users. So, a few people at Mozilla are heading up studies to find out how people use tabs and how different designs of new tab page effect how they browse and user the web. Intern Lilian Weng is currently working on a quantitative study within Test Pilot to capture data on what users do after they open a new tab. This should answer questions surrounding user intention when opening a new tab, and possibly how long users take to perform actions after opening a new tab. – Does a new tab page slow users down (e.g., by distracting them), or speed them up (e.g., help them find the target site faster)? – Does a new tab page discourage breadth in visited sites? – Are there users who are more mouse-based and some who are more keyboard-based? How does a new tab page affect them? Diane Loviglio and myself are preparing more qualitative “cafe” tests to gain insight into how people use tabs currently. We’d like to know why and when users open new tabs in a more contextual perspective than Test Pilot data provides. Our goal is to find a wide enough range of users that the most common new tab behaviors can be grouped and discussed in a more tractable framework. Once the research from tests 1-3 is available, variations on new tab pages will be implemented and tried out with real users. There are multiple testing methods that could be useful here, such as a multivariate testing or even journaling to gain insight into how new tab pages effect behavior of a user over time. Not quite a research project, but intern Abhinav Sharma is designing and implementing an experimental new tab page which uses contextual information about a user’s current browsing session to offer suggestions. His page makes intelligent recommendations about where you’re likely to go next based on where you’ve been. The project’s still in alpha, but you can see the code he’s done already for a basic speed dial implementation on his github. You’ll notice that a lot of this work is being done by our awesome new Summer 2011 interns! It’s only early June and they’re already rocking hard. I’ll post what we learn from these studies as results come in. I predict we’ll gain some insight into user behavior that will inform not only Firefox’s new tab design, but many other features besides!